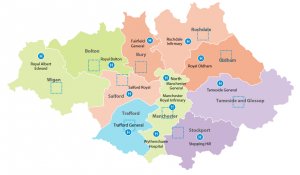 The NHS in Greater Manchester is currently consulting with members of the public about its proposals for the future of some aspects of healthcare in Greater Manchester. This is a very important consultation which will affect how we receive healthcare in future years. In particular it will affect which hospitals we need to attend for some services. We arse keen to ensure the best possible deal for Bury residents and are asking residents for their views on these proposals by taking part in this short survey. Much of the emphasis in the review is about trying to ensure that as much healthcare as possible can be delivered sensibly outside of hospitals and closer to people’s homes. This has been a long term ‘direction of travel’ for the NHS and many of us will be familiar with accessing services in health centres. The most significant changes relate to some hospital based services. 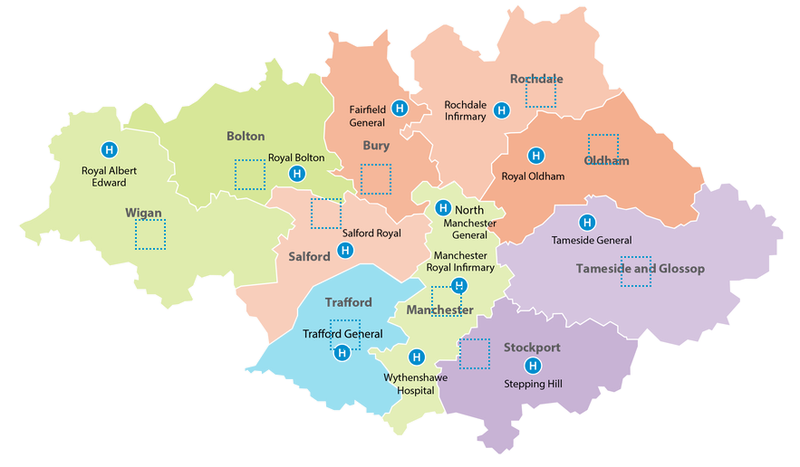 At present Greater Manchester has 12 hospitals. At 10 of these hospitals (including Fairfield and North Manchester) a full 24/7 service is provided. The proposal is to reduce the number of hospitals with the capacity for full emergency surgery to just 3-5 hospitals. Crucially for us in Prestwich, Whitefield and rest of Bury, these 3-5 hospitals will NOT include EITHER of our local hospitals – Fairfield and North Manchester. will definitely have the full emergency surgery service. will have the full service. To designate 4 or 5 hospitals in our region as specialist hospital for patients needing an emergency or complex operation. In simple terms my understanding is that this means life-threatening things which could require emergency surgery – e.g. a blue light ambulance incidence, but could be anything up from a complex appendicitis. Apparently this is about 1 in 30 current attendances at A&E. The majority of patients needing emergency care and patients needing routine operations will continue to receive their care locally in local General hospitals. our Guide to Best Care. The main impact to us in Prestwich, Whitefield and the rest of Bury is that we will need to travel further for a major medical condition – most likely to either MRI, Hope or the Royal Oldham. The proposals make the very valid point that what matters is getting the very best medical care, and that lives could be saved if there were fewer specialist hospitals. However, the pre-consultation document identified that around 50% of people could be adversely affected by a longer public transport journey AND by a longer car or ambulance journey. MPs from across the region have raised concerns about the consultation in Parliament. Bury South’s Labour MP did not speak in the debate. The consultation is currently underway, and we are really interested in your views, and in particular on the transport impact to people of having to use MRI or Hope as opposed to Fairfield or North Manchester. We’ve done a short survey to ask you about access and transport to our local health services. The results of this can be fed into the consultation by local councillors. Please take a minute to fill the survey in.